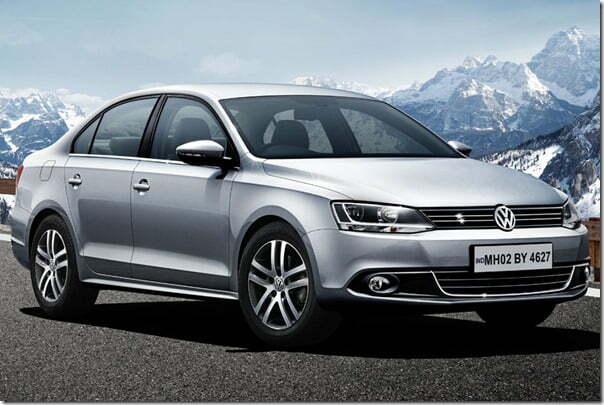 Volkswagen for planning to launch the 1.4 litre Volkswagen Jetta since quite some time and finally the car has arrived. 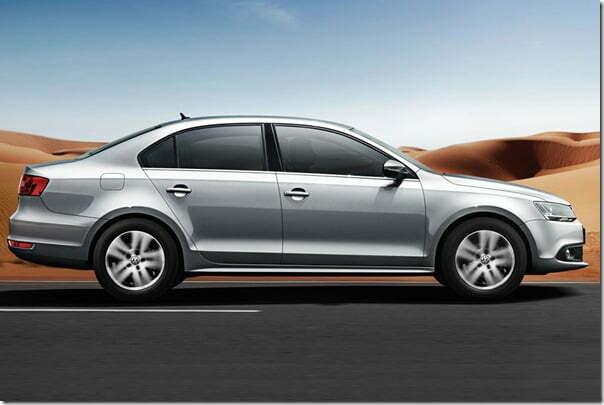 Today, Volkswagen launched the 2013 Jetta 1.4 Litre TSI in New Delhi. The wait for the car was well worth as it features Volkswagen’s TSI engine that delivers high power, is compact in size and is fuel efficient. As promised, the 2013 Jetta upheld driving pleasure and fuel economy and the credit for the brilliant fuel economy is to be given to the intake of high compress air alongside a turbocharger and implementation of direct petrol injection technology. The 1.4 Litre 4 Cylinder TSI engine generates a maximum output of 122 BHP @ 5000 RPM and maximum torque of 200 Nm @ 1500 – 4000 RPM. The engine is mated to 6 speed manual transmission gearbox. Apart from the appreciable fuel efficiency the engine is also known for delivering maximum torque both in low and high rev bands. On the exterior, the sports a new design and is 90 mm longer than its predecessor thereby making it more comfortable for the passengers. The exterior is equipped with “Navarra” alloy wheels 205/55 R 16 tyres, Rear Fog lights, Side turn signal lights integrated in exterior mirrors, Dual exhaust pipes etc. On the interior, VW claims to have engineered it to the finest of the detail. Since it is longer, you will get an extended wheelbase which significantly improves the comfort level at the rear. The very wide rear window offers excellent visibility and simultaneously emphasizes its dynamic lines.